Can good AI transform the guest experience? As travel becomes increasingly mobile-centric, accom properties have begun utilising mobile apps to drive loyalty and guest engagement. In reality, a lot of guests just aren’t engaging with them. Just think, how many hotel apps do we all have on our phones, and how many do we actually use? According to Google, 53 percent of smartphone users haven’t even installed their favourite brands app, so it’s reasonable to assume that all but the most loyal guests are not using a hotel app during their stay. A lot of hotels still utilise SMS as a way to message guests. While more convenient than downloading an app, SMS can involve additional costs, which are especially high for anyone travelling internationally. The future of guest communication, therefore, relies on offering a platform that’s free and simple to use. This article expands on what I believe to be the key features in any such platform and when evaluating any such product, I believe these features need to be considered. What makes a great automated guest request system? Artificial intelligence is the key to offering instant responses to guest requests. Done well, it can truly enhance the guest experience. 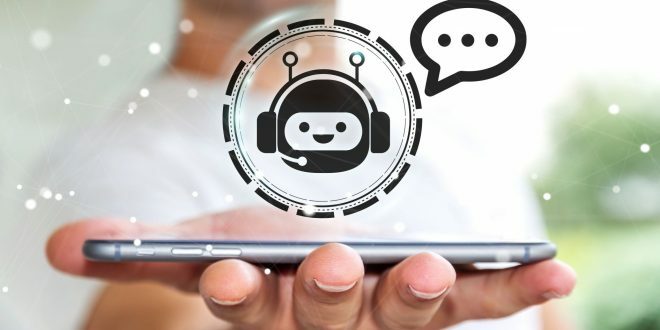 Chatbots are what the guest interacts with and the AI running in the background can receive and answer a guests question and if need be, allocate a task to hotel personnel. A question like “What time is breakfast?” can be instantly answered by the Chatbot. Guest requests such as additional fresh towels, an adapter for their smartphone, or ordering cocktails while lounging by the pool are all seamlessly allocated to the appropriate department using the ‘smarts’ of AI. Ideally, such a platform can be used both on and off the property. So if a guest wants to make a reservation for dinner before arriving, they can do that from anywhere, all via their mobile device. With that in mind, here are some of the top considerations with regards to a guest request system. Respecting your guests by NOT asking them to download an app that takes time and uses up valuable space on a person’s smartphone is key to having guests interact with a Guest Request System. 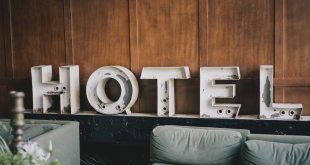 A hassle-free experience is a major selling point when trying to encourage guests to interact with your hotel before, during, and after their stay. Especially since most apps are deleted within a week of their last use. Find a solution that is designed to sit on, or integrate with, any platform. From iOS to android, your hotel’s website, existing hotel applications, or even the in-room television. We all know technology is only as useful as its uptake, so providing a system that is accessible in multiple environments is critical to driving guest usage. Solutions such as progressive web applications, which look and feel like an application, but are deployed via a URL, allows for a Guest Request system that can reside on a website, form part of a guests reservation confirmation email, or can even be accessed at reception, the pool or a room via a QR code. Such flexibility provides a significant advantage. There’s AI and there’s AI and people who are human will be interacting with it. Take the time to ensure that the AI is built on Natural Language Processing technology. Natural Language Processing not only understands words and sentences; it’s able to grasp the context of requests and questions. As a result, guests can communicate more easily and receive the information they’re really looking for, while interactions have the natural patter of a human-like conversation. For example, a well-programmed chatbot will recognise that “I need a toothbrush please” and “I forgot my toothbrush” both represent a guest’s request for another toothbrush. Incremental revenue is key so ensure that any system will allow guests to see your room service menu and place orders both on and off-property. So if they want to request room service while lounging in bed, or order their evening meal while travelling back to your hotel, all it takes is a tap of a button on their smartphone. This anywhere/anytime convenience makes life easier for guests, and a built-in up-sell mechanism also offers hotels a way to generate additional F&B revenue. Look for a system with multi-lingual functionality, where overseas guests can use their mobile to communicate with the hotel in their native language. This eliminates the frustrations that arise from language barriers, making for more satisfying guest experience. In addition, hotels can reduce the associated costs of having to train or recruit staff to communicate in other languages. But be careful, many chatbots solely use Google translate for this functionality. And while this may represent an improvement on no translation capabilities, a solution that can provide fully controlled responses in line with your brand language is preferable. Ensure that your guests can use their mobile to browse and access all the promotions and offers that your property is running. Ideally select a system that accommodates “push notifications” with pre-programmed content, such as promoting a discount on a luxury spa treatment. I recommend looking for a system that can track and report on uptake of offers to help monitor effectiveness and tailor future marketing efforts. Knowing how your guests feel throughout their stay can be crucial to enhancing their experience and managing your online reputation. With the ability to measure the mood of guests at any time (and not just waiting until check out), look for a system that lets your hotel address negative experiences before they become damaging online reviews. Equally, being able to track guest sentiment is extremely useful for encouraging positive reviews when guests have a great experience. A great platform will integrate with TripAdvisor. So a guest exploring your destination can type a request directly into the platform, such as “Is there a museum close by?” to receive instant answers. Restaurant reviews, sightseeing recommendations, and all other city information can be accessed in this same way, even while off-property. Travellers increasingly want their hotel stay to revolve around freedom, flexibility, and convenience. Having a bespoke chat bot instantly available on their own smartphone is a big step in the right direction. Rather than trying to persuade guests to download an app or chat via SMS, look for a platform that offers a free and frictionless way for them to communicate with the hotel before, during, and after their stay. Next Which regions are driving Australian tourism?